Medics have identified the absence of a proper tracking mechanism for people who have tested positive to HIV/Aids and those on Anti-Retroviral Therapy (ART) as major bottlenecks in the effective management of HIV in Uganda. 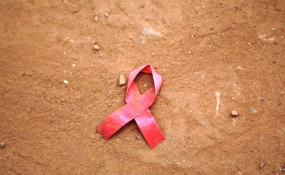 They are equally concerned that the various HIV/Aids service providers are operating in isolation, which sometimes results into duplication of services on clients. Often, HIV/Aids patients visit more than one health center for the same service, a move which cannot be stopped in the absence of a tracking mechanism. Now Dr Nelson Musoba, the director general of Uganda Aids Commission says they are developing a tracking mechanism that will help address the lapse, by having people's National ID details interlinked to the HIV central referral system for proper follow-ups. "One of the challenges we have now is because we lack what we would call a unique identifier. If I go to Masaka and test and then go to Mulago and test the second time the system [should be able to] say; last week you picked drugs for three months. And because our people are mobile, they pick drugs from one place and another. We do not have a system in place yet that can help with that." said Dr Musoba. Dr Musoba explains that the considered mechanism will also create a unique identifier where patients are given special cards and unique codes upon which they can effectively be traced by all healthcare service providers. "We're going to work with the ministry of Internal Affairs and the National Identification Registration Authority to make sure that once the identification mechanism is rolled out to the entire population because a national ID is a unique ID, we need to link that to the national health system so that every time you pick your ARVs, every time you go to test, we can track you and even when you have not gone to pick your replenishment, the health workers can call us and find out whether you have moved to another place and maybe that is why you're not picking." said Dr Musoba. According to him, the process will also help build the most reliable data bank of HIV patients and ensure that the available ARV drugs are not misused, to eliminate shortages. Mubende municipality mayor engineer Innocent Ssekiziyivu, the general secretary of Alliance of Mayors and Municipal Leaders on HIV/AIDs in Africa-(AMICAAL) Uganda chapter, proposes that the mechanism be supported with compulsory testing for all adults, for purposes of getting clear statistics on the prevalence rates and required interventions. Ssekiziyivu has also asked the government to consider a formula of profiling couples and be able to track those with extramarital relationships. In 2017, President Museveni launched a new campaign codenamed; the Presidential Fast Track Initiative on ending HIV and AIDS in Uganda by 2030. The campaign is domiciled on five key areas that include engaging men in HIV prevention and close the gap on new infections particularly among adolescent girls and young women, accelerate implementation of test and treat and attainment of 90-90-90 targets particularly among young men and young people.